3 × 7 = Required Please enter the correct value. Few investors realize it, but we are on the precipice of an Obamacare "nightmare" event. According to Money Morning's Chief Investment Strategist Keith Fitz-Gerald, this event could throw one-sixth of the world's economy into chaos. But for savvy investors, this event doesn't have to be a nightmare. In fact, Fitz-Gerald is recommending three healthcare stocks that could return big profits as a result of what's ahead. 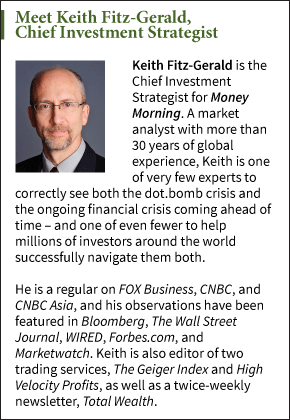 "As an investor, you'll absolutely want to be ready for what happens next," Fitz-Gerald said last week. 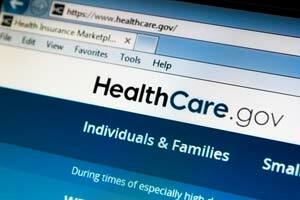 By upholding individual mandate of the Affordable Care Act (ACA) two years ago, the Supreme Court ruled that most Americans must obtain health insurance or pay a tax penalty. This created an influx of new people to the healthcare system, and allowed for significantly lower premiums. "Here's what you need to know – millions of people who would be required to buy health insurance couldn't afford to do so," Fitz-Gerald said. "They still can't. So Obamacare's drafters included subsidies in the law, allowing millions of poorer Americans to gain insurance and avoid the hefty fines Obamacare would have otherwise dealt them." But when drafting the law, the authors only granted subsidies to healthcare exchanges established "by the state." More than 20 states – including Texas and Florida – boycotted the exchanges. Individuals in those states had to rely on federal exchanges. But now there is a Supreme Court Case, King v. Burwell, that's determining whether these federal subsidies apply in states without state exchanges. The case will likely be resolved in late June. If it's determined the subsidies don't apply, millions of healthy Americans will forego insurance. Premiums would skyrocket for those depending on Obamacare. Fitz-Gerald said the whole ACA could unravel. "Capitalism being what it is, those same higher prices will, in turn, drive out larger numbers of healthy people, until only the sickest, oldest Americans are left," he said. "When you hear the words, 'death spiral' and 'health insurance' in the same sentence, this is what they're talking about," Fitz-Gerald said. "It's the nightmare scenario, and it's only held off so far because the incentives and penalties have forced millions of healthy people to join the exchanges and help pull down costs." And this won't just impact individuals. Before Obamacare, hospitals provided $41 billion in uncompensated care from their emergency rooms. But now that millions of new Americans are receiving subsidized insurance, these hospitals are shelling out much less money. Insurance companies have benefitted too from the flood of new customers. If the nightmare scenario comes to fruition, we could see a major slump in healthcare stocks. And that would create what Fitz-Gerald describes as a "legendary buying opportunity." Tags: We're on the precipice of an Obamacare nightmare scenario. But instead of getting caught in the economic chaos, we've found a way to profit. Why not sell puts and buy back later on these insurance stocks?